Reminder: As part of the blog’s gala tenth anniversary week, Down the Hatch is only 99 cents through midnight tonight, PST. Use your Amazon credit and pick up a copy while it’s cheap. And feel free to leave a review once you do. Once upon a time this website was far more film-oriented, with lots of half-baked semi-recurring features like Remake Rematch (in which I watched multiple versions of a film and declared a winner) and Burt With A Badge (decades worth of Burt Reynolds as a cop, for absolutely no reason). The Operation Travolta pieces were easily my favorite. I did one on Sandra Bullock that, if I say so myself, was prescient. 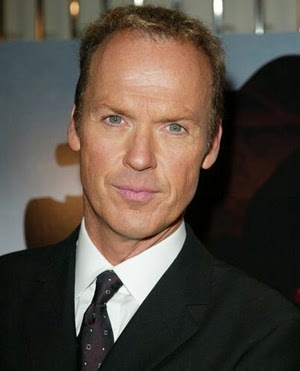 This one on Michael Keaton, which originally appeared on September 23, 2004, was the first. I still hold out hope for the actor, who has what promises to be his best role in years in the new film from Alejandro González Iñárritu; a 2009 post on The Merry Gentleman, Keaton’s directorial debut, would land me a mention on Canadian public radio. Ironically John Travolta, after whom the feature was named, is in need of another such procedure. Maybe it can be done more than once, like Tommy John surgery. Keaton has a special flair for conveying all-American guy-ness. Genial and decent, with a wariness underneath. He has a uniquely hyper way of moving, like a one-time athlete who still hasn’t figured out what to do with his excess energy. It’s a live-wire quality that charges the screen. 1988 was also the year of Keaton’s greatest dramatic triumph, playing a drug addict in Clean and Sober. There’s a scene in that film – he calls his elderly parents and tells them he’s doing great while trying to persuade them to mortgage their house so he can have the money – that captures the essence of the addict’s psychology better than any other. The whole movie is Keaton’s show. The ‘90s weren’t so good to him. But neither were his films. (Speechless? Multiplicity? Did anybody like those movies?) There were hints of a comeback when Keaton played Elmore Leonard’s cocky DEA agent Ray Nicolette in two movies, Jackie Brown and Out of Sight. Rumors circulated that Ray would get his own feature. I’m glad that didn’t pan out, because the character can’t sustain an entire story. But Keaton was perfectly cast, as he was in the recent HBO film Live From Baghdad. So what’s on tap for the actor? Playing opposite Lindsay Lohan in the remodeled Herbie, The Love Bug. That ain’t right, people, and you know it. Where’s Wes Anderson or Dylan Kidd (Roger Dodger) when you need them?